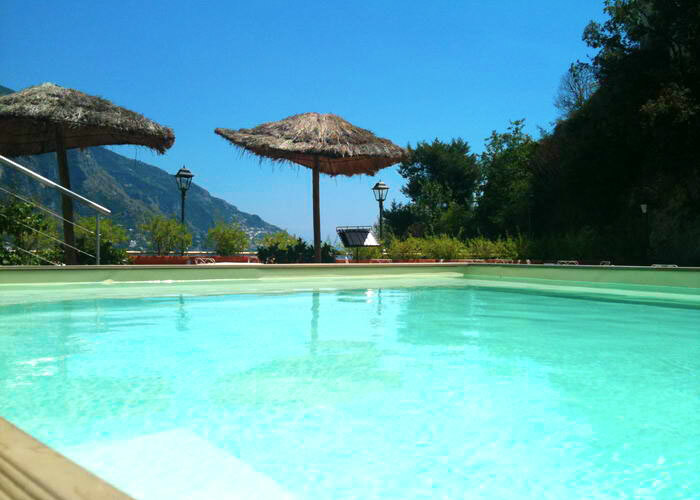 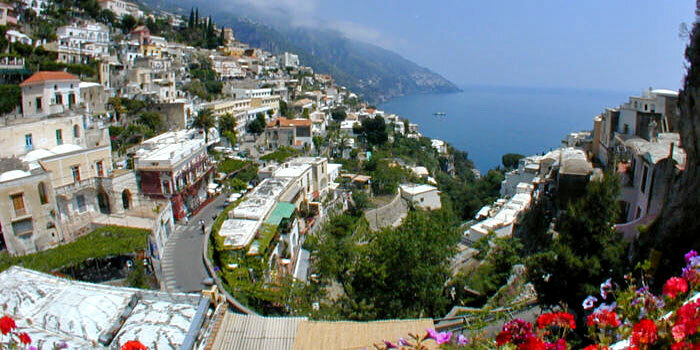 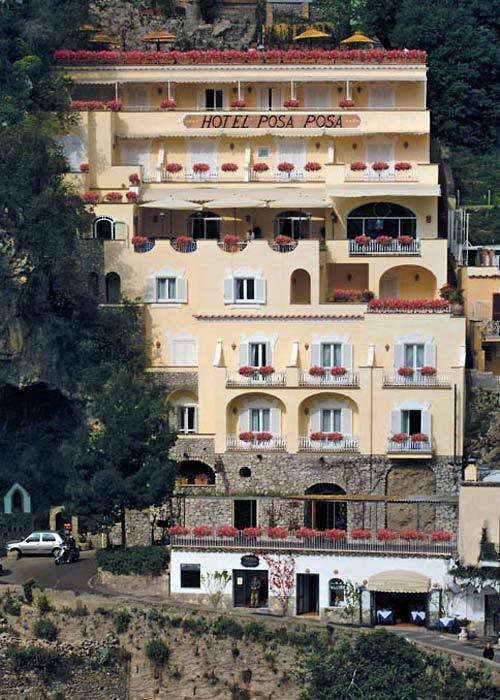 Hotel Posa Posa is located in the center of Positano, on the mountainside which descends directly in to the sea. 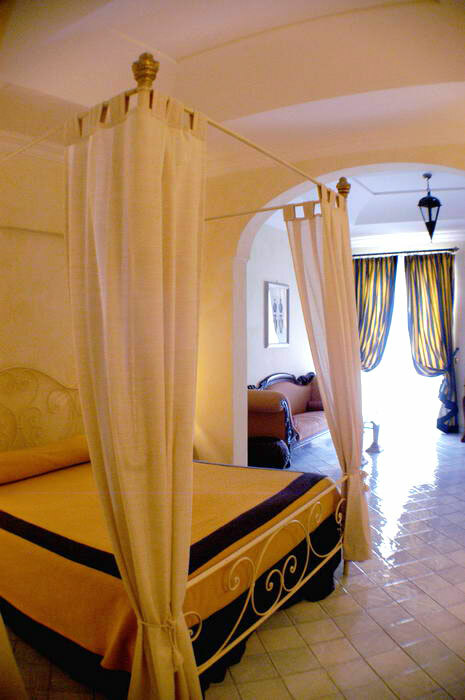 All of Hotel Posa Posa's individually appointed rooms are elegantly furnished and feature every comfort. 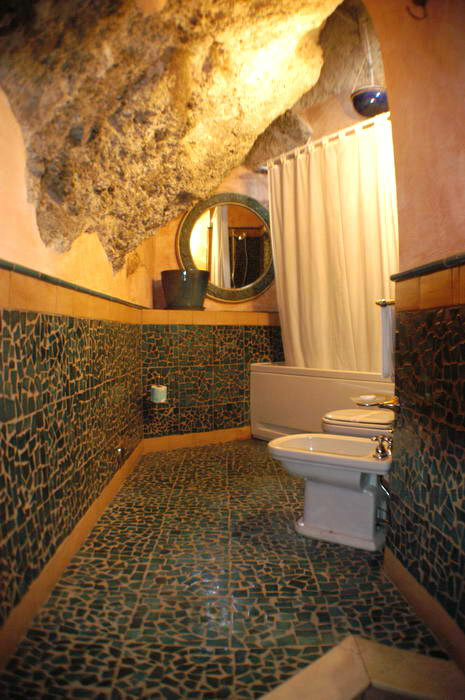 The dècor is both romantic and original, featuring hand painted tiles and the typical colours of the Mediterranean. 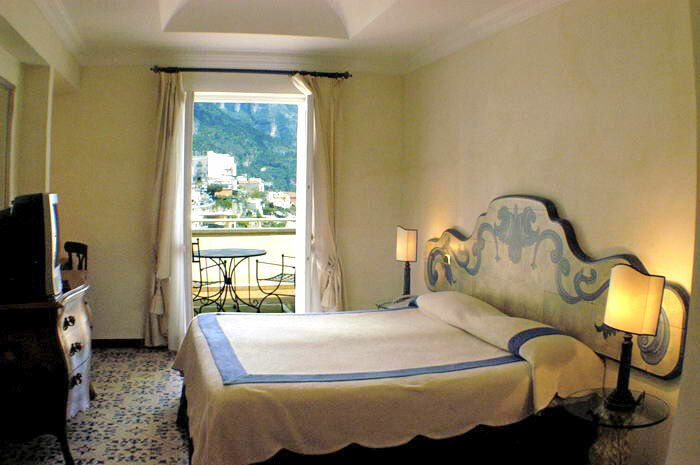 Each room has its own balcony or terrace from where to admire a quite stunning view of the sea. 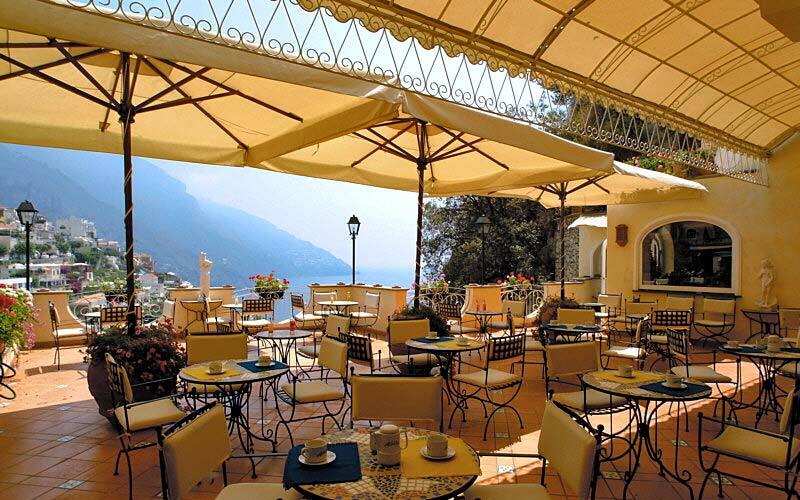 Equally breathtaking views can be seen from Hotel Posa Posa's 4th floor Mirage Restaurant. 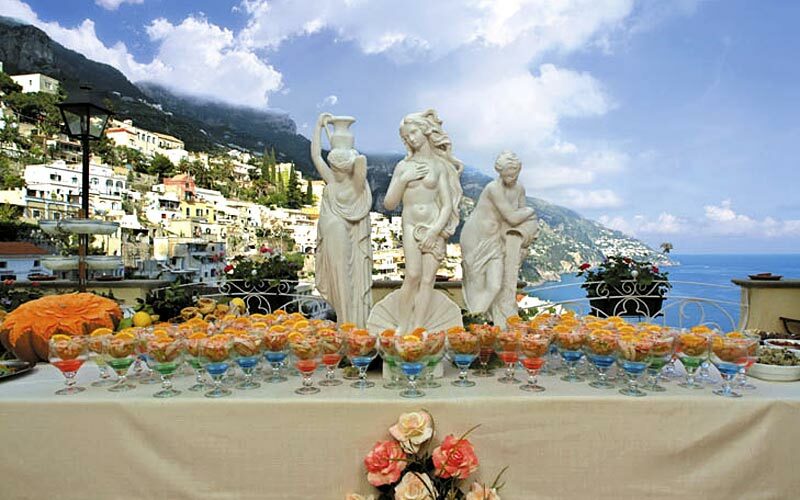 Here, delicious Mediterranean cuisine is served in the dining room or on the terrace overlooking the bay of Positano, a perfect venue for a dream wedding reception. 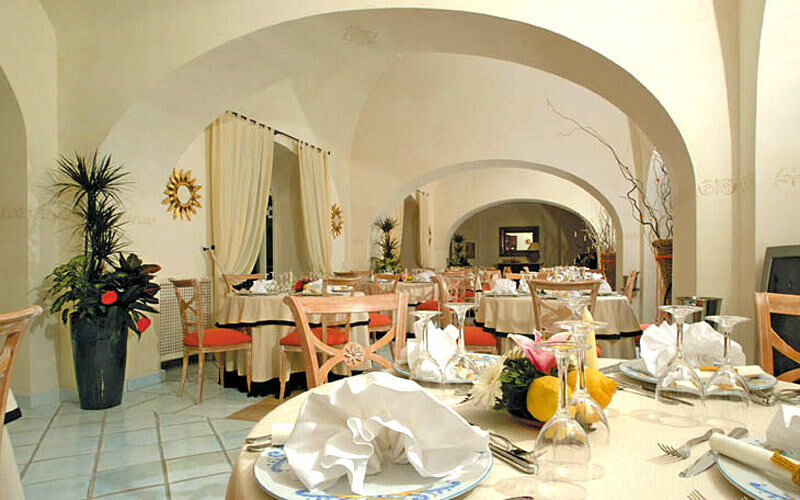 At wine bar guests enjoy any of a vast selection of fine wines and cocktails, whilst listening to relaxing music. 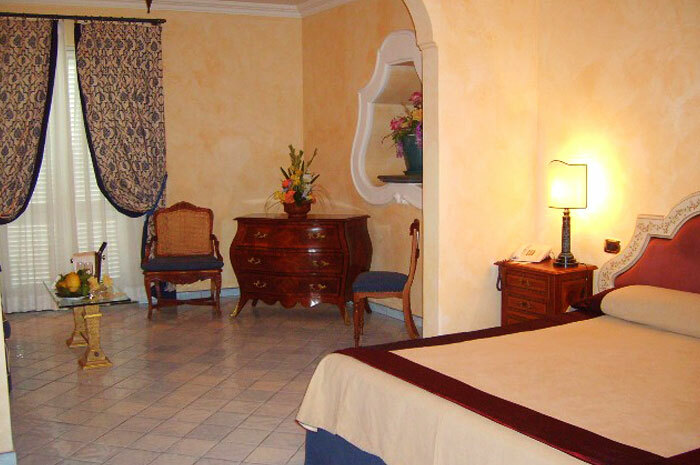 The Hotel Posa Posa also has a Meeting Room with seating capacity for up to 20 participants. 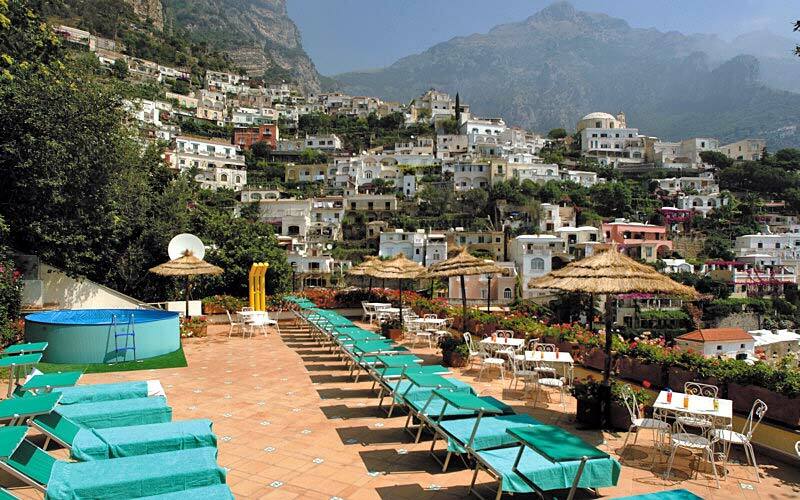 From the Hotel Posa Posa, a short walk past Positano's famous boutiques and pavement cafes, leads to the beach and the sea. 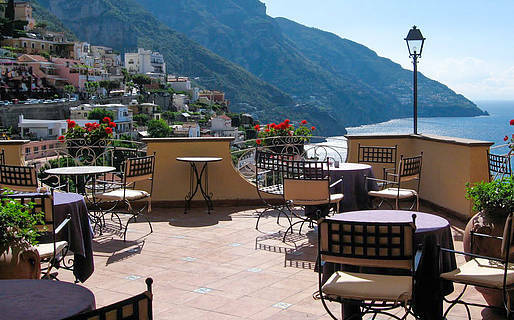 The hotel is ideally situated for guests keen to visit the other towns on the Amalfi Coast, such as Ravello and Amalfi, or take part in a boat trip to the islands of Li Galli or along the coast of the Bay of Naples. 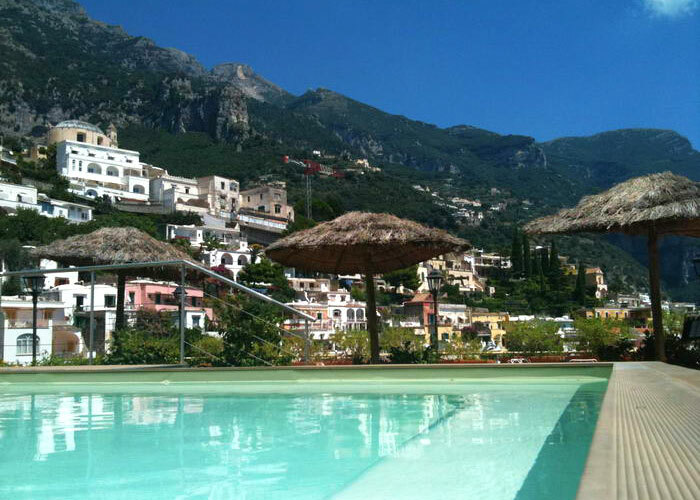 Just 5 minutes away from the sea of the Amalfi Coast. 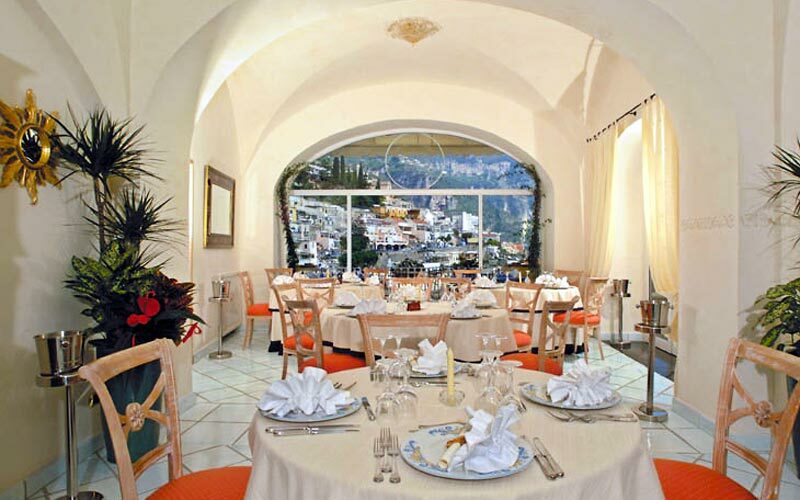 The Hotel Posa Posa is located in the center of Positano, Via Pasitea 165. 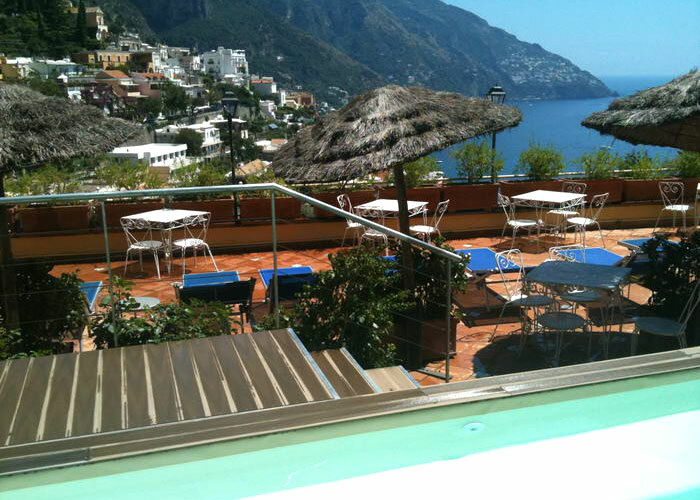 In a few minutes you can reach the beach of Positano. 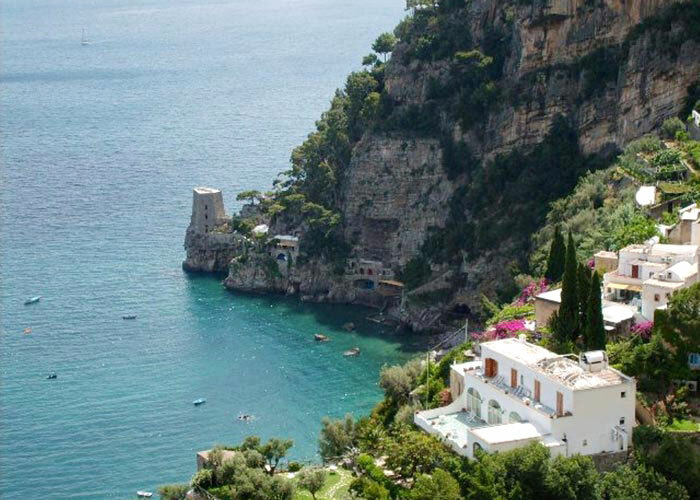 From Positano, all the other other beautiful towns of the Amalfi Coast such as Praiano, Furore, Conca dei Marini and Amalfi, are just a short drive or bus ride away.